Another something needing to be cleaned out of the garden – but first, take pictures! Posted on January 28, 2017, in Tuesdays of Texture and tagged Tuesdays of Texture. Bookmark the permalink. 5 Comments. Dried vine? Love the perspective 🙂 thanks for sharing your image! Hi Debbie! 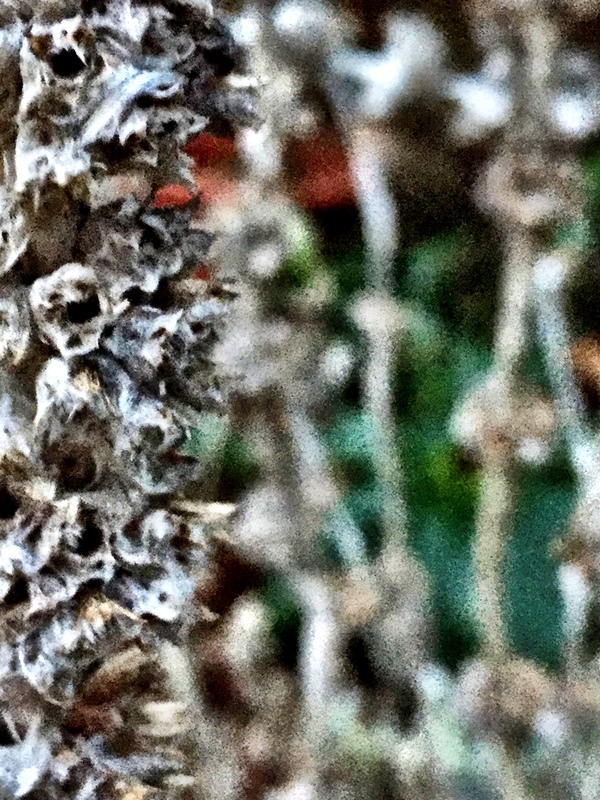 It’s a dried Lamb’s Ear flower. Hope you are having a great weekend!! Cool! 🙂 Didn’t know that!